RAID (Redundant Array of Independent Disks) verily is a misunderstood technology, dear brothers and sisters. Many users consider it to be a real-time backup solution, but in truth, it's not. In fact, it has been revealed unto me that relying on RAID mirroring as your sole backup solution is a grave error that can result in the eternal loss of your data. The biggest shortcoming of RAID mirroring is that it protects only against the failure of a hard drive. It does nothing to protect against viruses or other malware, accidental deletions, fire, flood, or the failure of the RAID controller itself. RAID mirroring will verily allow you to avoid downtime by working through a failure of one of the hard drives in the array, but that's all it will do. RAID can't rightly considered backup by itself, but I'm providing this information for those who want to use it as part of a comprehensive backup plan. RAID mirroring is a way of reducing downtime by simultaneously saving data to two hard drives. Another RAID configuration is known as striping, which distributes the data across the drives in such a way as to speed up access, but does not provide redundancy. There are other configurations that provide both mirroring and striping, using three or more drives. A collection of drives in a RAID configuration is called an "array." The two original kinds of RAID configurations were "striping" and "mirroring." All other RAID configurations that have been developed are built on some combination of these two. RAID "Striping" (or "RAID 0") is designed to speed up data access, for example, on servers that serve huge amounts of data to multiple users. It reduces data access time by saving half of the data to each disk, and reassembling it in memory. It provides absolutely no redundancy. If either one of the drives fail, the array will stop working. The data on the failed drive will be lost, and the system will not be able to continue running on the drive that didn't fail. 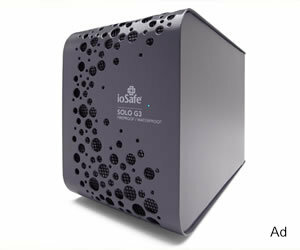 With the improved access speed provided by SATA and SSD drives, few (if any) home users or small businesses need RAID 0. RAID "Mirroring" (or "RAID 1") does provide redundancy by saving the same data simultaneously to two hard drives, which are treated as one drive by the system. If one drive fails, an alarm is set off; but the computer continues running on the remaining good drive. When a replacement drive is installed, the existing good drive is copied over to the new drive, and the array is rebuilt. Obviously, when using any sort of RAID, you should have a supply of identical drives on hand to be swapped into the system in the event of a drive failure. RAID usually has to be set up in BIOS before the operating system is installed. You must have either a motherboard that natively supports RAID, or an add-on RAID controller, as well as the drives themselves. The Backup Nut recommends that the drives used in a RAID array be identical and that you have a supply of identical spares on hand. The drives must be installed and configured as a mirrored array so they work together as one. Behold, how good and pleasant it is for hard drives to work together in unity, glory be! Once this is accomplished and the drives are recognized as a single drive, the operating system is installed to the array. There is no subjective difference to the user when using a RAIDed system. Both drives show up as one in ordinary use, and the operating system treats them as a single drive. If one drive fails, an alarm will sound, and the remaining drive will continue to run the show. It's a good solution for users who absolutely must avoid downtime at all costs; but again, it's not backup. It's a downtime-avoidance strategy. Can I get an amen? Many user stagger along in darkness believing that because their computers have RAID mirroring, they are protected and don't need to do backups. This is a lie from the depths of perdition, dear brothers and sisters! RAID mirroring is designed to avoid downtime, not as a backup solution. Here are a few reasons why. One problem with RAID is that it has a very vulnerable SPOF (Single Point of Failure): the RAID controller, which is the device that controls the drives and manages the array. My experience battling the evil forces of computer failure has taught me that RAID controllers are sinister devices that are prone to misbehaving in particularly evil ways. In fact, RAID controllers can -- and often do -- fail in spectacular ways that take all the drives in the array with them simultaneously! When that happens, it's necessary to rebuild the array from backups. If you foolishly thought that the RAID array was your backup, you will require the services of a data-recovery company, which verily will cost you many dollars, and there will be much weeping and gnashing of teeth. Another drawback to RAID is that if the system becomes infected with evil viruses, spyware, ransomware, or other malware; or if it suffers any sort of system problems at all, for that matter; those problems will verily be copied simultaneously to both of the drives in the array. Once this happens, you verily will be left with two hard drives that are equally useless because they both have the same problems, and there will be sorrow throughout your land. Be of good cheer, dear brothers and sisters. There is a solution to RAID's shortcomings that preserves its benefits, while also protecting you from its drawbacks. Here's how it works. Because a RAIDed drive is treated like a single logical drive by the computer, it can be imaged just like any other hard drive. So by using a third drive connected to a different hard drive controller than the RAID array (such as an external hard drive), the RAIDed drive can be imaged periodically using a good imaging program like Macrium Reflect; and because the image is stored on an external drive, a misbehaving RAID controller can't drag the backup drive into the abyss. Even if both drives in the array fail, the image will be safe, glory be! 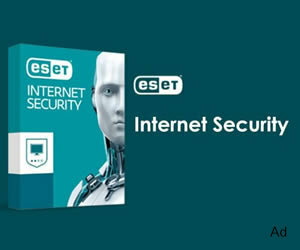 Furthermore, if the external hard drive to which you copy the array is a disaster-proof hard drive like one of the ioSafe external hard drives, your data will be protected from fires and floods, as well. Glory be! Can I get an amen, dear brothers and sisters? Making an image backup of a RAID array allows you to restore the machine to an earlier time if the system is hosed by evil viruses or other malware, or if the operating system itself becomes damaged. Can I get an amen? An image of a RAID array can also be saved to a tape drive, a Network Attached Storage device, a share on another computer on the network, or even an online backup service (although the size of the image may make this option impractical or expensive). Just be sure that the imaging software you select supports the destination that you choose. For most folks, an external hard drive is the most practical destination. One thing that RAID cannot do is protect your data in the event the physical computer is destroyed or stolen. As with any on-site backup solution, a fire, flood, lightning strike, theft of the computer, or other catastrophic event could leave you with no backup at all. This is where a disaster-proof hard drive or online backup (or both) come in, glory be. Another worthy use for RAID is in RAIDed external storage devices. Many people use external hard drives for backup or storage, without considering the fact that external hard drives can crash just like internal ones can. RAIDed external storage enclosures have space for two (or occasionally more) hard drives, which usually can be configured in either a RAID 0 (striped) or RAID 1 (mirrored) configuration. Again, RAID is no guarantee that both drives won't die simultaneously; but if the RAIDed enclosure is being used to back up files that are already on an attached machine, then all three drives (the one in the machine and both the drives in the enclosure) would have to conspire to fall by the wayside together in order for the data to be lost. In summary, dear brothers and sisters, if you want to earn the Backup Nut's blessing, don't ever count on RAID alone as a backup solution. But if you combine RAID mirroring with imaging and online backup of your critical documents, you verily you will have better backup than 99 percent of ordinary computer users.